LinkedIn Groups are dedicated spaces on LinkedIn where users can come together to socialize about a professional topic of interest. This topic of interest may be broad (such as the topic of writing) or very specific (such as the topic of documentation and technical writing management). What Exactly Are LinkedIn Groups? It's not always enough to have a stellar LinkedIn profile and over 500 connections in your network. If you really want to impress people, grow your reputation and build relationships that will help push your professional life forward, you need to be taking advantage of LinkedIn Groups. Each group has guidelines for every member to follow. For example, many groups prohibit members from overly promoting themselves, their company, their products, their services or their work. Anyone who doesn't follow the group guidelines risks being removed from the group by a group manager. LinkedIn groups are private to the members who are in it. Until you join one, you won't be able to see any of its member conversations. Non-members who access a group page can only see the group name, number of members, summary about the group and group rules. To join a group, you have to select the blue Request to join button. A group manager will then review your request and either accept or decline your request depending on how they think you might (or might not) fit into group. Response rates to pending requests can take as little as a few minutes to as long as several days or weeks depending on the popularity of the group and the involvement of the group manager(s). Once accepted into a group, you can introduce yourself or ask something in the Start a new conversation in this group field on LinkedIn.com or tap the plus sign icon in the bottom of your screen in the mobile app, with options to attach image, video or document files. You also can read over existing conversations and add your input. Just remember to follow the guidelines to avoid getting removed from the group. Any conversation you decide to start is limited to 1,300 characters including spaces. You can also tag up to 20 group members in a conversation. When used correctly, LinkedIn groups can be a powerful tool for almost anything—from advancing your education to finding a new job. 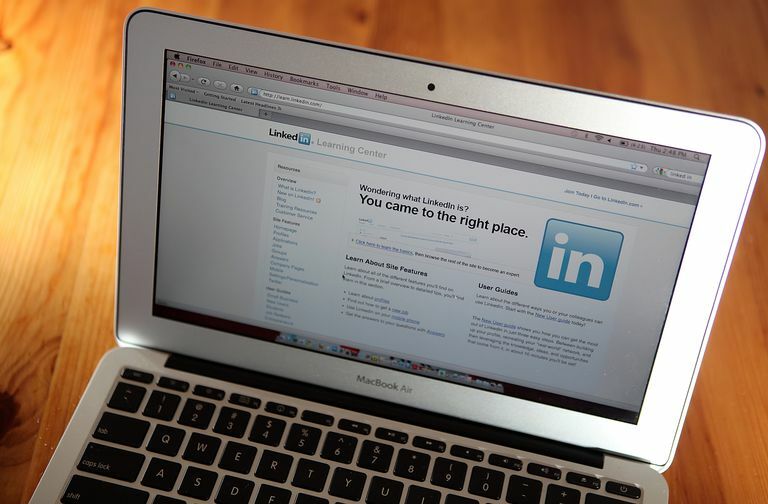 Here just a few benefits you can expect from joining and participating in LinkedIn Groups. Networking is probably the biggest and most obvious benefit of joining LinkedIn Groups. Just by joining a single group, you get to automatically connect with several individuals with an interest and experience in your professional area who you probably never would have found. If you take the time to use the group to network properly, an individual from the group could become your next boss, client, customer, business partner, mentor, coach or other type of colleague. LinkedIn Groups are great educational resources. And best of all, they're totally free. Whether you learn something new from reading one of the conversations or by connecting with a group member outside the group, you can easily expand your knowledge by taking advantage of the wealth of information and expertise shared by group members. Even if you regularly attend networking events or are a member of a group that meets up in person, it won't ever compare to the convenience of being able to jump online and instantly get involved in past or current LinkedIn group conversations. You also get to connect with people who are not necessarily within your local area, which could be valuable to you if you're open to connecting or doing business with individuals from other regions. Helping other group members isn't just good for them—it's good for you too. Your confidence in your own knowledge and expertise will grow the more you demonstrate it to others. You can do this by simply answering questions, offering advice, reviewing work, or sharing your experience. Members will be happy to hear what you have to offer and many will express their gratitude for your help. If you have a Basic (free) LinkedIn account, you don't have access to InMail and therefore can't directly message people you're not connected to. Even if you have a premium account, the number of InMail messages you can send to people outside your network is limited. As a group member, you can send up to 15 messages to another group member even if you're not connected to them, meaning you can save your InMail messages or avoid having to upgrade to premium altogether. There are two main ways you can find groups suited to your professional interests. Simply type a keyword or phrase in the search field at the top and select Search. Then select More > Groups in the top menu to see a filtered list of groups only. Select the Work option from the main menu and then select Groups. Then select the Discover button to see a list of recommended groups based on similarities between you and group members (such as companies, schools, industries. etc.). You can quickly access the groups you're in by looking for them under the Groups section in the left sidebar on LinkedIn.com or by tapping the menu button in the top left of the mobile app to see Pinned groups and Groups you're in. Note that groups will not appear here until a group manager has accepted your request to join. If a group for your particular interest doesn't yet exist, or you'd prefer to have one you can manage yourself with specific members you want to approve to join, you can easily start your own group for free. Follow these steps. You can only create new LinkedIn groups on LinkedIn.com. A group creation feature is not available on the official LinkedIn mobile apps for iOS and Android. Sign into your account at LinkedIn.com in a web browser and select the Work option from the main menu at the top. Select Create a new group. Fill out the group details in the tab that appears. You must provide a group name and description at the very least, but you can also upload a thumbnail photo and explain the group rules. If you want your group to be found by everyone in Search and Discover, leave the privacy setting as Standard. However, if you want to invite specific people and prevent strangers from joining, set it to Unlisted so that it doesn't show up in Search or Discover results. Select Invite members to choose people from your list of connections or start typing their name. You can't send invites to people you're not connected to, such as those who are in other groups that you're also in. There's also a limit to how many invites you can send at once depending on the group size, current pending invitations, the number of connections you have and your tenure with LinkedIn. Select Invite when you're done.